I love to try new things. In the past month, my husband and I have had the opportunity to try rock climbing, and we even learned how to use a potter&apos;s wheel at a pottery class. It&apos;s been so much fun, and it has inspired me to keep searching for fun classes to take. There are so many great opportunities to learn something new in Hendricks County. And recently, I discovered what I would consider a hidden gem in Avon -- Great Fermentations. Great Fermentations, located at 7900 E. U.S. 36 in Avon, is first and foremost a store that sells pretty much anything related to fermented drinks and foods, including wine, beer, cheese, pickles and more. 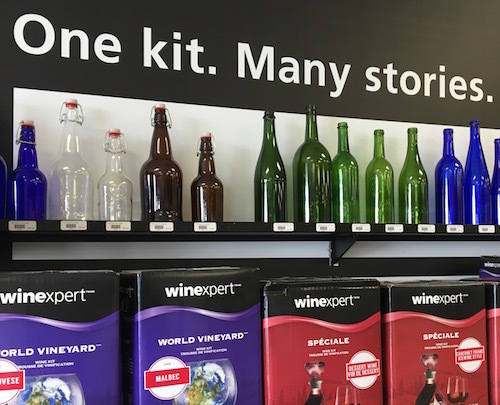 When I visited the store recently, I was amazed by the huge selection of home brewing kits, bottles, corks, brewing ingredients, etc., that can be found inside. Great Fermentations provides a fantastic resource for home brewers. But did you know Great Fermentations also offers several classes every month? The class that initially caught my eye is the Make & Take It Wine Class coming up on March 15. During this class, participants are given the equipment and ingredients to make one gallon of Cabernet Sauvignon, Merlot, Pinot Noir, Moscato, Chardonnay or Pinot Grigio. The wine-making process starts during the class, but is finished at home. The best part? Participants get to keep the equipment used to make the wine, so they can make more at home whenever they want. Cost per class vary and classes are repeated about every month. For more information about classes offered at Avon&apos;s Great Fermentations or to register, click here.